Evy’s Tree designs. Check out their website for more amazing apparel that is made with perfection. Their latest Spring Skinnies come in various colors. I chose the Pebble because I feel like I can match it with so many items in my closet. 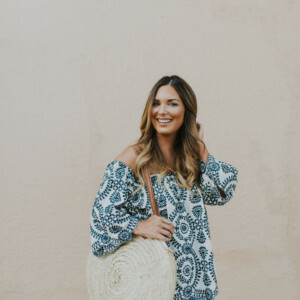 They are light weight enough to be worn in the summer with flip flops and a tank and thick enough to be worn in the fall with a tunic and booties. Thanks for visiting my blog and hope that you enjoy your weekend. 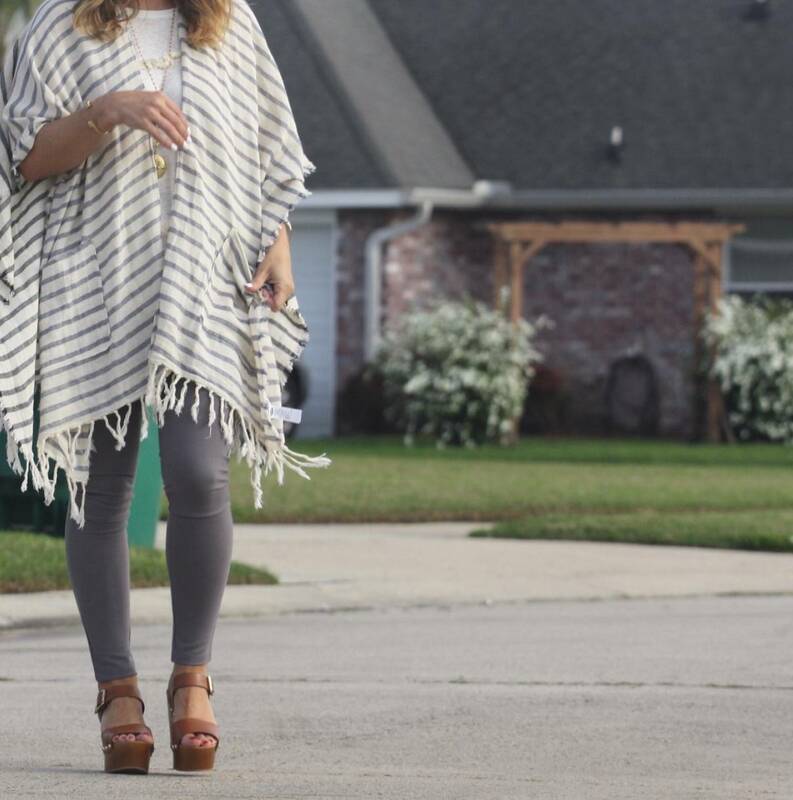 wiw I absolutely love that tunic! 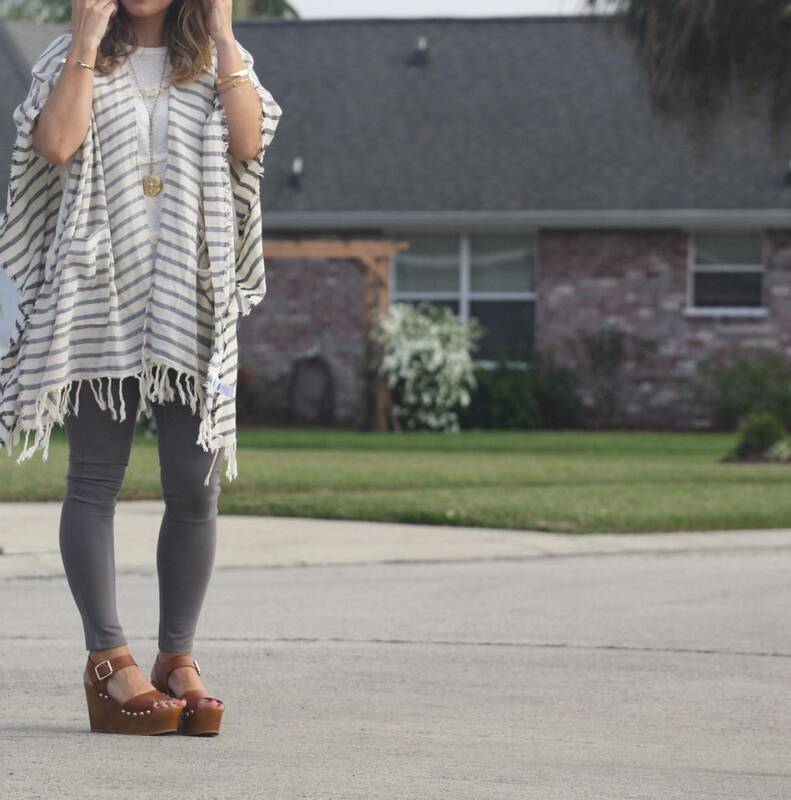 It is so chic and comfy I’ve been searching everywhere for a similar one! 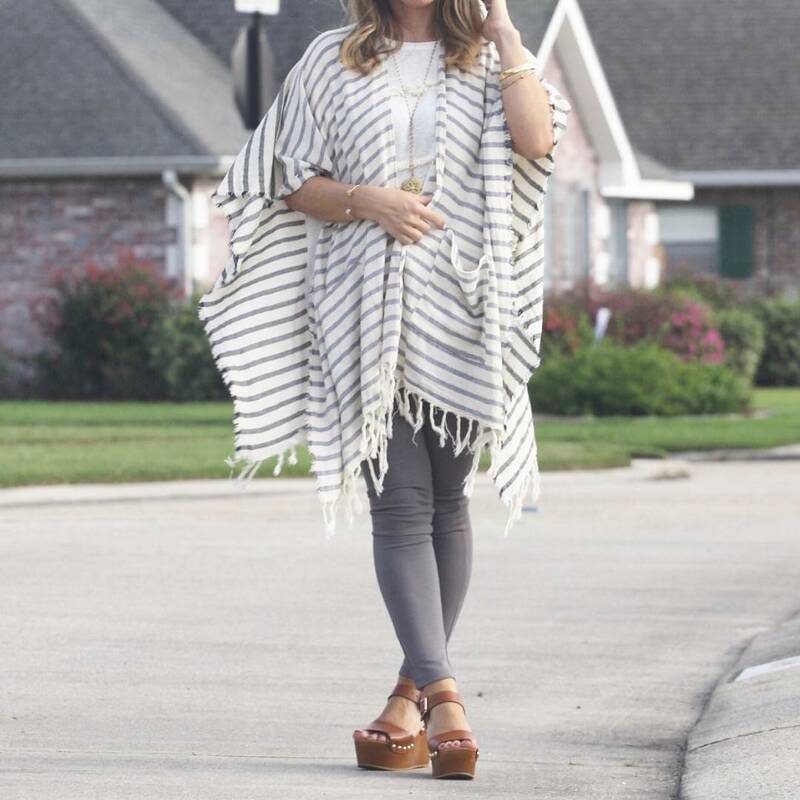 Ahh, I am obsessed with this tunic/ cape!! It’s so comfy too. I have plans to use it as a bathing suit coverup also!! Thanks so much for your sweet words!! I love the color of your jeans! Your shoes are amazing too – gorgeous look! You are so sweet, Hailey!!! Appreciate you and thanks for stopping by my blog!! Hope that you have a lovely week. 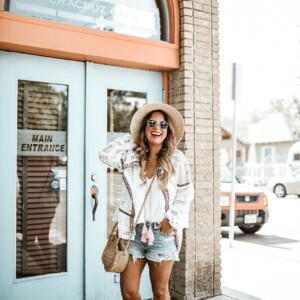 love your whole look! lovely! Love this look! Those shoes are amazing! They really complete the outfit!